Checking a patient's benefits BEFORE their first visit is one of the only ways to guarantee that you will get paid for treatment. 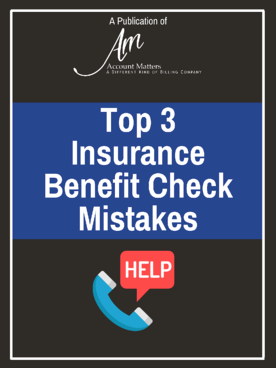 Too often, we see front desk employees making assumptions about the benefits based on the insurance company or patient. This leads to wasted revenue and time. How in and out-of-network status can impacts benefit checks. The importance of visit limits and patient financial responsibility. Time saving tips for obtaining authorization. Download your copy today by filling out the form on the right!